"You intrude on master's property. I count to 10 - you leave or I feed the earth with your entrails. One. 10." In the early days of the Middle Ages, the newly founded Tremere line was in grave danger. 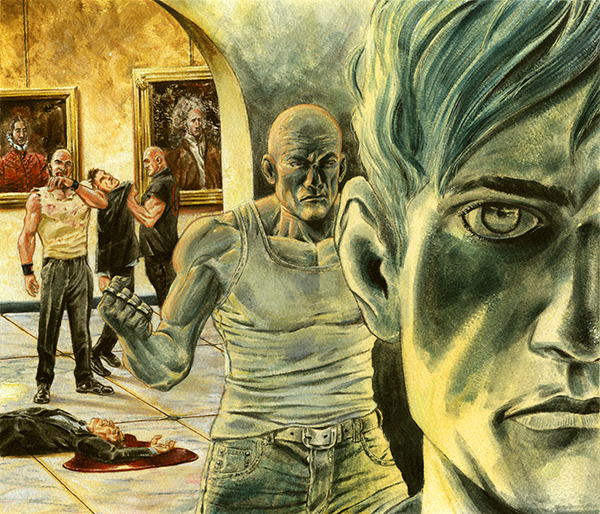 Hounded from all sides by agents of the Inconnu, even the power of the recently created Circle of Seven did not seem enough to save the line from extinction. Though they were individually mighty, they simply did not have the hordes of lesser shock troops that they needed to fend off their enemies. It is rumored to have been the Clan founder himself who thought of a solution. Capturing several other Vampires and mystic creatures, including a Gangrel and a Nosferatu, Tremere and his Circle used their extensive alchemical knowledge to synthesize a race of new Vampires, ones which would serve the Tremere. Deep beneath the Carpathians, the first Gargoyle rose from the steaming ichor of their cauldron. In a mocking parody of the Bible, they commanded it; "Go forth and multiply." Requires an Independent or Anarch vampire. Only usable when a Camarilla or Sabbat vampire is bleeding you. Reduce the bleed amount by 1. +1 stealth action. Requires an Independent or Anarch vampire. (D) Burn a vampire who has diablerized a vampire of the same clan as this acting vampire since your last turn. Requires an Independent or Anarch vampire. Allocate X points among one or more ready vampires, where X is half this acting vampire's capacity rounded up. No 4 or more points can be allocated to each vampire. Successful referendum means each vampire burns 1 blood for each point assigned. In this referendum, non-priscus titles are worth 1 less vote each, priscus title is worth 1 less ballot, and burning the Edge is worth 1 additional vote. Contract. Trifle. 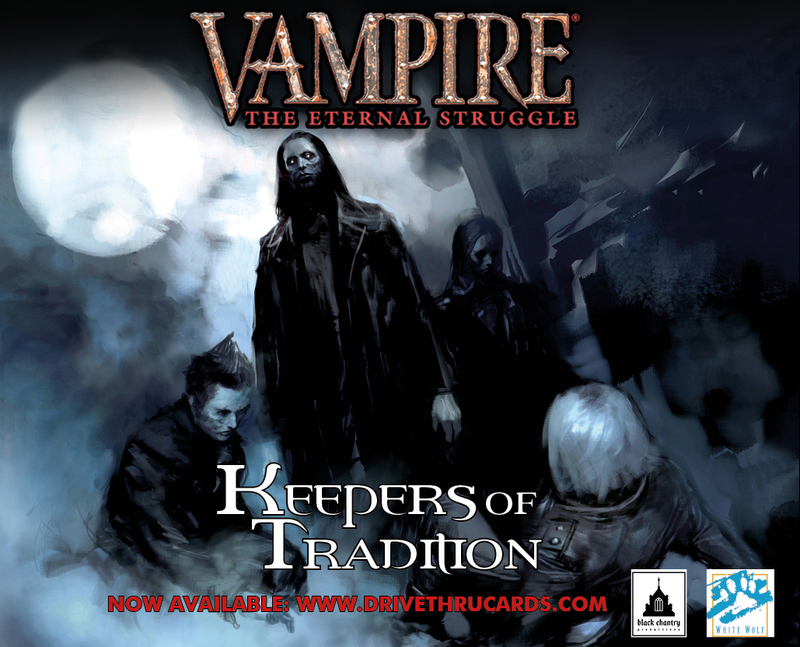 Lock a ready Independent or Anarch Assamite you control to put this card on a younger vampire. Every Independent or Anarch Assamite is considered chosen for this contract. Any Independent or Anarch Assamite can enter combat with the attached vampire as a +1 stealth (D) action. Requires an Independent or Anarch vampire with capacity 5 or more. Allocate 6 points among two or more other Methuselahs. Successful referendum means each Methuselah burns 1 pool for each point assigned. Count Germaine Independent. 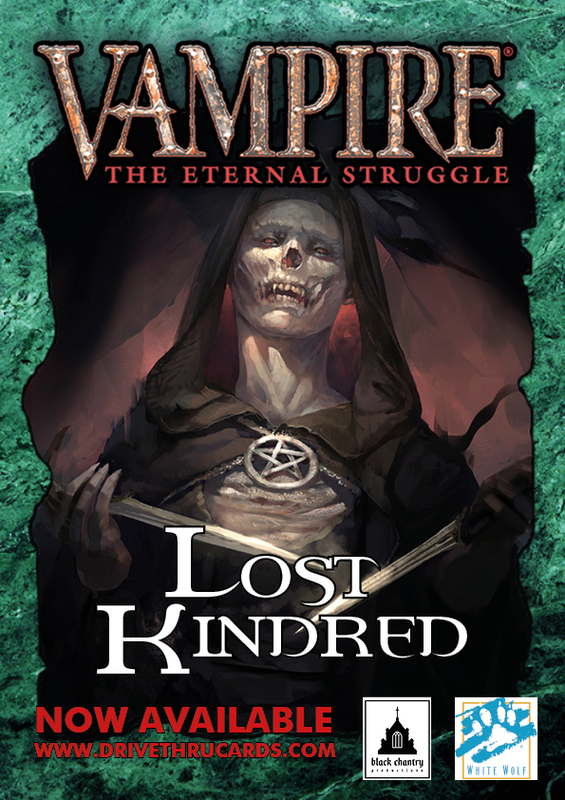 Red List: Germaine gets +2 bleed against a Methuselah who controls a titled non-Independent, non-Anarch vampire. Once each action, Hillanvale can burn 1 blood and discard one card requiring Melpominee to get +1 bleed. She gets -1 intercept against non-Independent non-Anarch vampires. Independent: Jan can burn 3 blood to cancel a Gehenna card as it is played. While Jan is Independent or Anarch and there are any Gehenna cards in play, he gets +3 votes. 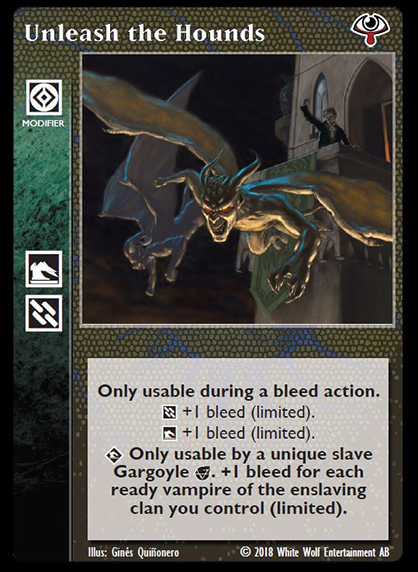 Camarilla: Cards requiring a Gargoyle cost Chalcedony 1 less blood or pool. Flight [FLIGHT]. Tremere slave. Camarilla: Porphyry gets +2 bleed against a Methuselah who controls a location. Flight [FLIGHT]. Tremere slave. Sabbat: Sheela Na Gig can lock to give a Tremere antitribu you control +1 bleed. Flight [FLIGHT]. Tremere antitribu slave. 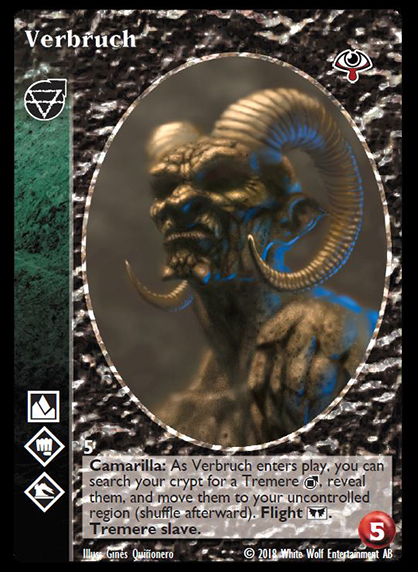 Camarilla: As Verbruch enters play, you can search your crypt for a Tremere, reveal them, and move them to your uncontrolled region (shuffle afterward). Flight [FLIGHT]. Tremere slave. Put this card in play with 1 counter for each Tremere and Gargoyle you control. Once each action, you can burn 1 counter from this card to give a slave Gargoyle you control +1 bleed or +1 strength. Put 1 counter on this card after a Tremere or Gargoyle enters play during your influence phase. Burn this card when it has no counters. [tha] Equip with an equipment card from your hand and reduce its cost by 1 pool or 1 blood (requirements apply as normal). [vis] Search your hand or library for a gargoyle creature retainer and employ it (requirements and cost apply as normal; shuffle afterward). [VIS] As [vis] above, but reduce its cost by 1 blood or pool. Usable by a locked vampire. 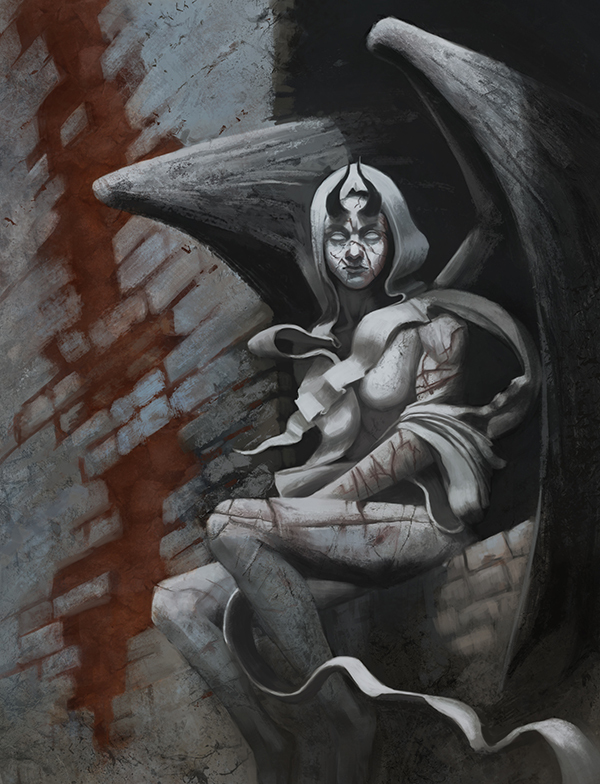 Unlock a gargoyle creature ally or a ready slave Gargoyle you control. [VIS] Only usable by a unique slave Gargoyle. +1 bleed for each ready vampire of the enslaving clan you control (limited). The Salubri antitribu serve the Sabbat as reluctant warriors, easily distracted by their own internal quests. The rest of the Sabbat considers them anomalies, useful allies in times of war, but intolerable proselytizers when not in combat. To the Sabbat Salubri, this is fine – unlife is a hell of endless torment, ameliorated only by glorious death or victory in battle. Sabbat: If Castiel is in combat and does not have a melee weapon before range is determined, he can equip with a melee weapon from your hand (requirements and cost apply as normal). 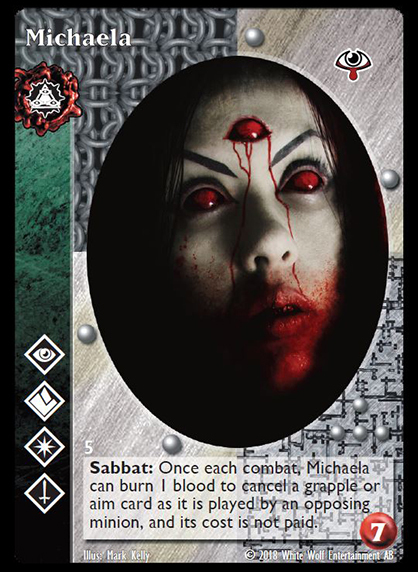 Sabbat: Once each combat, Michaela can burn 1 blood to cancel a grapple or aim card as it is played by an opposing minion, and its cost is not paid. 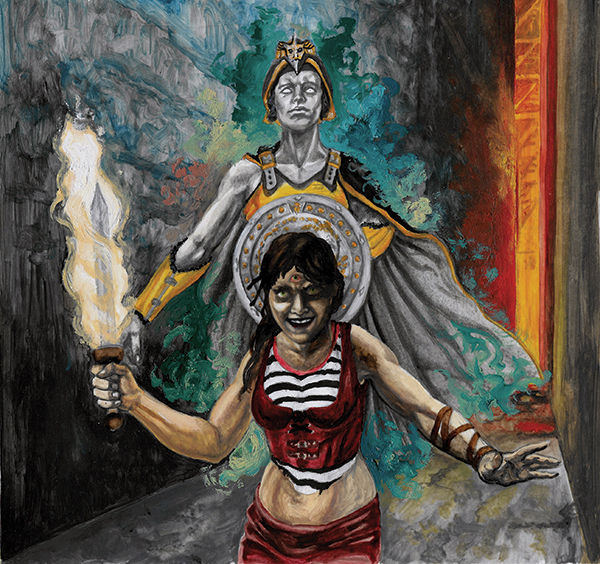 Sabbat: Nuriel gets 1 optional additional strike (limited) during the first round of combat. He inflicts +1 damage with melee weapons. Strike: strength +1 damage, with 1 optional maneuver each combat, only usable to maneuver to close range. [val][REFLEX] Cancel a grapple card played by the opposing minion as it is played. [val] Strike: use a melee weapon strike at +2 damage. [VAL] Strike: use a melee weapon strike at +3 damage. Only usable if this vampire is ready and the opposing minion is not. Put this card on this vampire. This vampire gets +2 bleed. 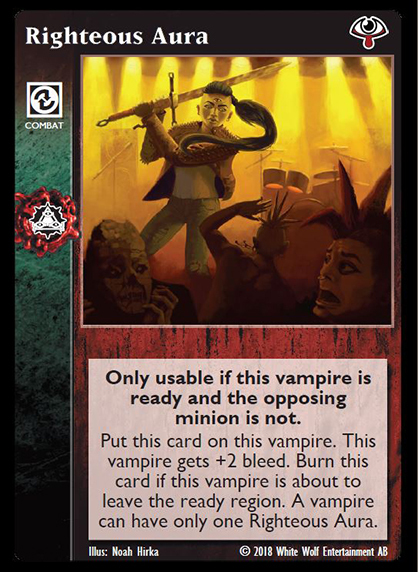 Burn this card if this vampire is about to leave the ready region. A vampire can have only one Righteous Aura.